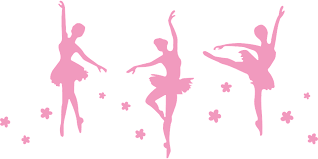 If you have or know a little girl who loves dancing then she will love little girls ballet gifts. On this page I have tried to find a few of the best ones. To find out more about each gift, click on the picture. Now every little girl that I know, whether they do ballet or not, has this type of jewelry box on her wish list. The star feature here to any child is the ballerina that dances round and round when the jewelry box is opened. These types of jewelry boxes have been around since my grandmother’s day and have remained popular with little girls worldwide over the years. The one on the picture is called a Ballerina Treasure Music Box and it is selling for around $22 at the moment. I bought my own daughter one of these a few years ago, but it is not as pretty as the one featured above and it cost me about $30. So much for that. Every little (and big) girl needs a pretty ballet bag. Whether it be to put her ballet shoes in, or just to go shopping with Mom. This one is currently selling for around $15. Cute little duffel for younger ballerinas. ‘Dance’ design with glitter-accented heart. Zippers at the top. Fully lined in pink. No pockets. Adjustable-length strap. Small, 10″ long x 6.5″ in diameter. Material: microfiber. Recommended ages 3 to 8 years for carrying just the basics: flats, leotard, and tights. Any dancer will love this little girls ballet gift in the form of a cute backpack. It is a very affordable gift for your little one at less then $18. Outside pocket provides extra convenience. “This ballet slipper backpack is better than expected. The slippers have stitching around them and tiny pink ribbons. Our niece was so excited with this gift. She immediately modeled it for the family on Christmas. This is a lovely gift for that little ballerina in your life. Last but not least, we all know that no ballerina is complete without a tutu to compliment her ballet collection. This is the ultimate in perfect little girls ballet gifts. This gorgeous tutu can be purchased online for around $20, depending on the size. There are different styles and colors to choose from, but we all know that most little girls love baby pink. I hope that this selection of little girls ballet gifts gives you some ideas on what types of presents to buy for that precious little ballerina in your life. Hey Stella, you are absolutely right. And you have given me a super idea for my next blog post. Thank you very much.